The recent news: Kratie, Cambodia. After a break from my 2011 Journey, it feels great to be back on the road. One year ago today, I was on a train from Asilah to El Jadidah along the Moroccan Mediterranean coast. Now, I am traveling in Eastern Cambodia with my friend from Denver, Alyssa. (Visit her blog for tales of my current travels.) Traveling with friends is always a pleasure. Hopefully in a few weeks, I will have the greater pleasure of welcoming her in my home town of Kuala Lumpur. By the way, everybody reading this blog is welcome in Malaysia – especially if I am there! 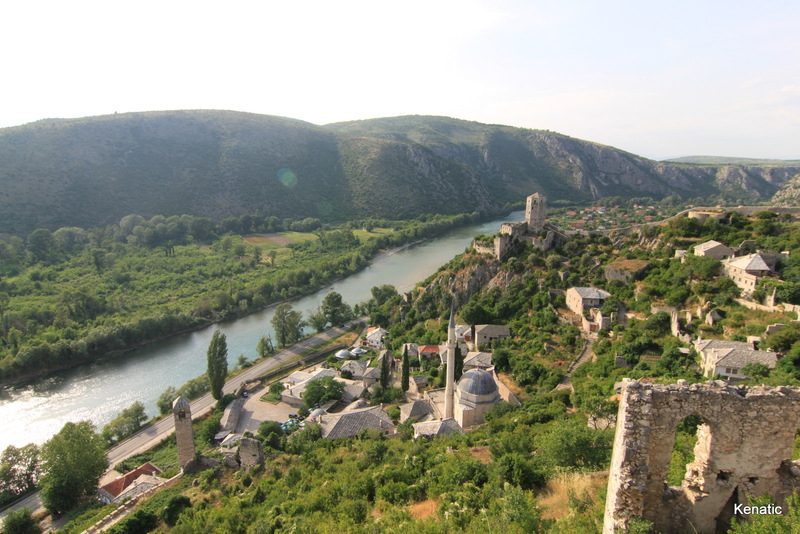 My first entry point to Bosnia and Herzegovina (“BiH”) was Mostar, where I was picked up from the bus station by Admir, who was an unemployed law graduate helping out at my hostel. I was staying at Majda’s, which is easily one of the best hostels I have stayed at in my whole journey. 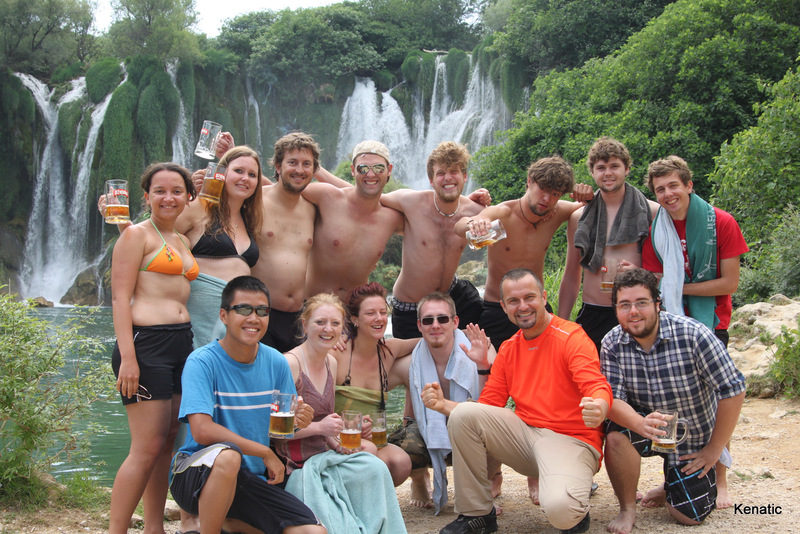 It was in Mostar too where I joined probably the best tour that I can remember, with Majda’s brother, Bata. 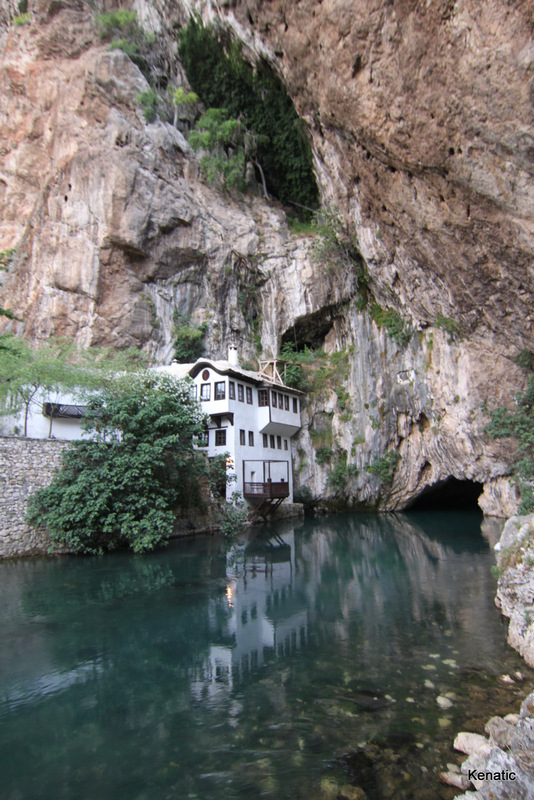 The Kravice waterfalls outside the city, the old city-fortress of Počitelj, and the dervish house in Blagaj with a river flowing out of a mysterious cave were impressive. The sights itself were stunning, but learning more about the history and the issues BiH is still facing was what made the tour incredible. Mostar is the largest city in the Herzegovina region. 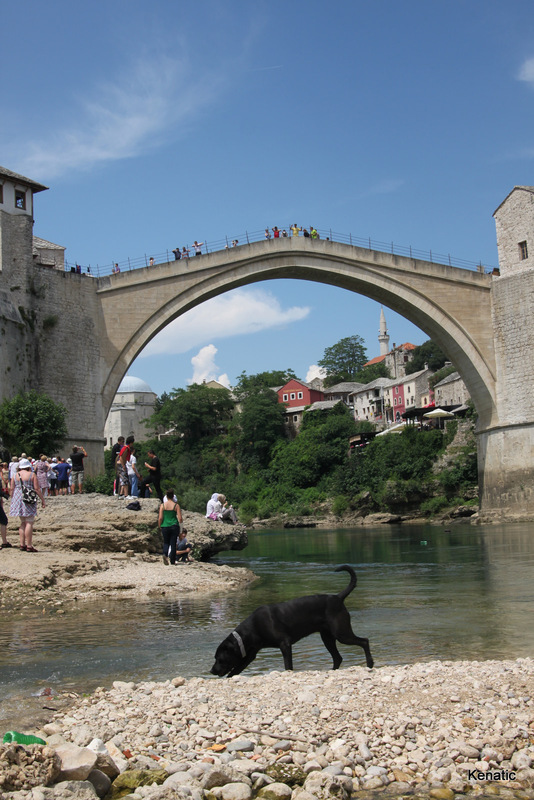 It was named after the bridgekeepers who guarded the old bridge (Stari Most) that is the symbol of the city. It was built in the 16th century under the Ottoman rule, but was tragically destroyed by the Croatian army in 1993 during the Croat-Bosniak war. A new bridge was then built using the same materials, even the same stones that were found at the bottom of the river. Along with the bombing of the Olympics museum in Sarajevo, the goal of the attacks were to hit the Bosniaks where they thought would hurt them the most – what they were proud of. Of course many other atrocities happened during the war, and also mindboggling issues with BiH that are still ongoing. Most of these issues I was not aware of before I got to BiH. One example: Ratko Mladic was arrested just before I entered BiH, and that is when I learned about the worst genocide in Europe since World War II. This happened in July 1995, only 17 years ago, where 8,000 Bosniaks were massacred. The news when I was in the region though was that people in Serbia were protesting because they felt like their government gave up a war hero. What are some mindboggling current issues? Here are a few examples: 1) Bosnia and Herzegovina is actually divided into two “entities,” the Republic of Srpska and the Federation of Bosnia and Herzegovina. 2) The president of the country rotates every eight months between a Serb, a Croat, and a Bosniak. 3) It is the most corrupted country in Europe. 4) The city of Mostar, which has almost an equal amount of Bosniaks and Croats, apparently does not have a single classroom with both Bosniaks and Croats, even though they essentially speak the same language. Sarajevo was my next stop in BiH. I could see the different architectural influences of the Ottoman empire and the Austro-Hungarian empire on the buildings in the city center by the river. However, seeing the scars of the four-year Siege of Sarajevo and learning about it was humbling. Unlike Mostar where you can still find gun shells everywhere in the sniper’s nest that is still left untouched 17 years later, most of the scars of the Siege in the city itself were removed. This reminded me a lot of Prishtina and Prizren in Kosovo, where the government made an effort to make the capital look like a nice normal European city, but has not gotten around to do the same for all cities. (Hopefully Kosovo will be illustrated more in a future blog entry…) You could see that there is a huge sense of pride in Sarajevo for hosting the 1984 Winter Olympics. 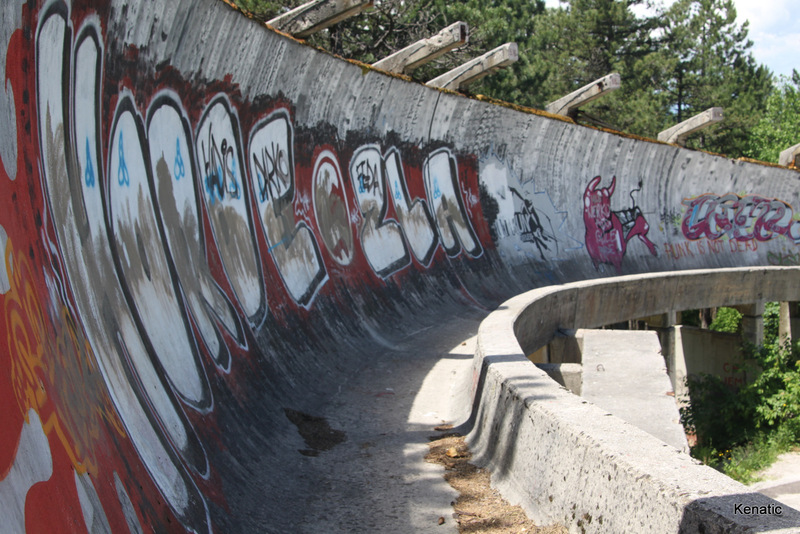 One remainder of the Olympics that also served as a reminder of the Siege of Sarajevo was the bobsled track outside the city, where bullet holes peppered the stretches of the track near the road. Bosnian food is reputedly the best food in the Balkans. The general Balkan cuisine can be found from Slovenia to Macedonia. Cebabcici and bureks are the specialties of the Bosnians. Unfortunately, I do not have a good photo of the former, but I can describe it as small sausage-shaped hamburgers that are commonly eaten with onions and bread, similar to a type of kebab. 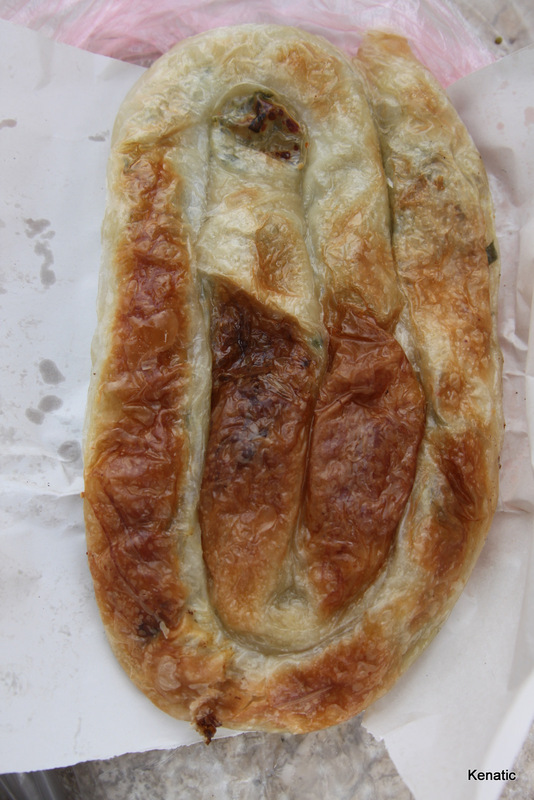 Bureks are pastries stuffed with minced meet, or spinach and cheese, or potatoes, that are commonly found as pizza slices or in strips that can be curled up. 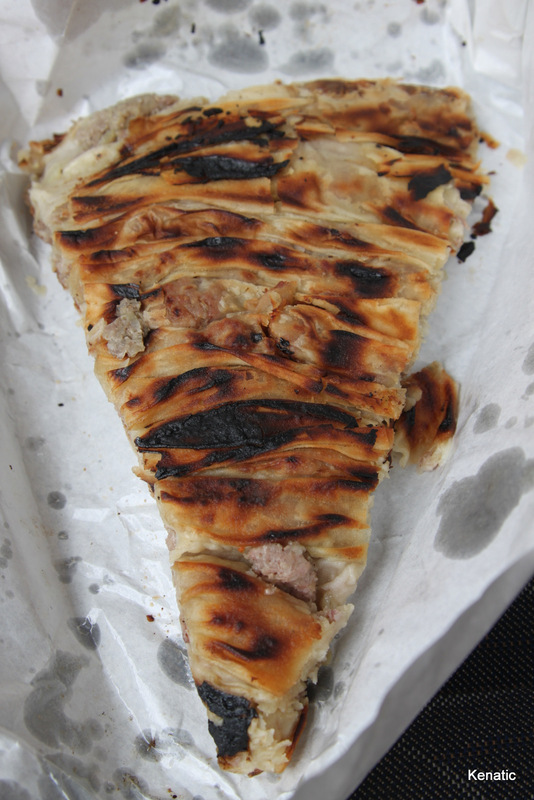 I probably had a burek every other day throughout my few weeks in the Balkans. Bosnian coffee is the drink of choice here in BiH. 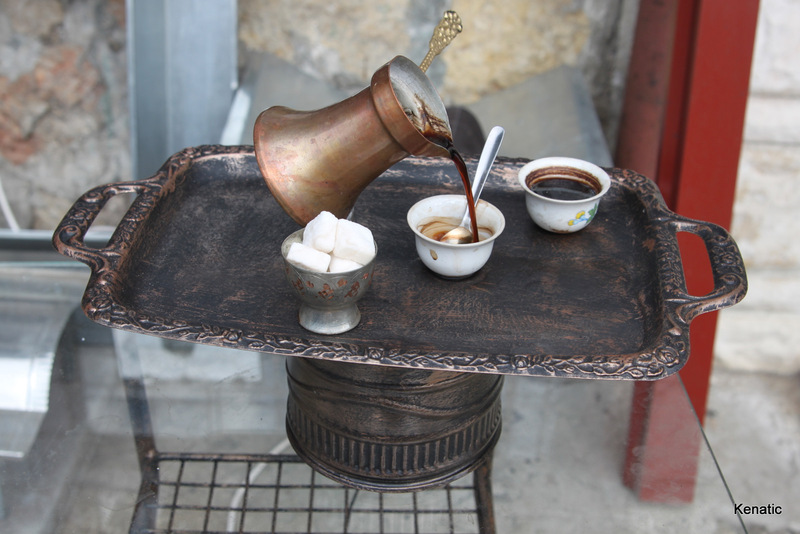 As far as I know, it is the same as Turkish coffee, and it was popular since the Ottoman empire, but far more Bosnians drink coffee here on a regular basis than the Turkish, who generally prefer their Turkish black tea (not to be confused with the apple tea that most tourists love).